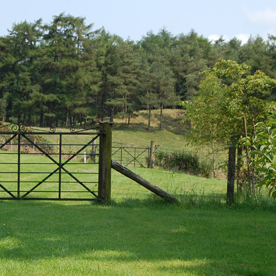 Cottage Set in 17 acres of welsh countryside Basel Cottage is the perfect dog friendly getaway sleeping up to 5 guests. 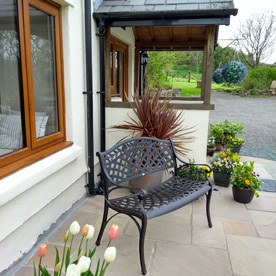 Basel Cottage is the perfect central location to visit all of the main attractions in Wales. Basel Cottage is a recently extended and converted stone cottage believed to date from the 1700's tucked away down a private lane beside the owners' property (Little Hall which was once an old hunting lodge) in a truly peaceful and tranquil location - with dogs very welcome. The property boasts approximately 17 acres of land set alongside a ridgeline with woods and a field adjacent to the private garden. The river which runs close to the property attracts a wealth of wildlife. Accommodation: Sleeps 4 + 1, 2 Bedrooms, 2 Bathrooms The new kitchen has wooden fitted units with an electric oven and ceramic hob, a fridge and a freezer, microwave, dishwasher and a dining table and chairs. A separate very spacious utility room is established with a washing machine, large sink and leading to a separate downstairs toilet and hand basin. The owners have uncovered the original great stone inglenook fireplace in the spacious living room which is now reinstated with a slate hearth with evidence of the old oven and now equipped with a wood burning stove. The living room is furnished with comfortable new sofas and chairs along with an oak coffee table. There is a window seat to make the most of the glorious views across and up the valley. TV with free-Sat and a DVD & video and a Play Station and WIFI are available. A telescope is available on discussion with the owner, this can be used for enjoying the dark skies with no light pollution - very rare to find these days. There is a wealth of birdlife in the area, including herons, red kites, which nest across the valley, buzzards and kingfishers. Up a flight of easy wooden stairs to two bedrooms: The Master Bedroom 1: With a super king sized bed - dual aspect windows with views across the fields and wooded valley and over the garden towards the owner's woods. En-suite bathroom with a large walk-in shower, hand basin with shaver point and toilet Bedroom 2: Again a spacious bedroom with new twin beds - one with a firm mattress and the other one with a softer mattress - thus suiting everyone, this is a great example of the owners' concern for visitors comfort and wellbeing. There is a full size "Z" bed if a 5th bed is required. The large family bathroom has a bath with a shower attachment, hand basin with shaver point and toilet. There is also a very large landing and a walk-in room used for storage. Useful Information: * All good quality new bed linen and towels inclusive * Oil central heating and electricity are included and an initial supply of seasoned wood for the wood burner is provided with more available from the owners at a small charge. * WIFI * Mobile reception. TV with Free-Sat, DVD, Video and a play station. * Ample safe off road parking * Two dogs welcome - with NO CHARGE. 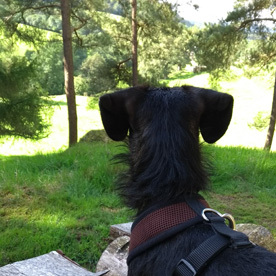 The owner of the property is also happy to provide a dog-sitting service at a small additional charge in their property if guests are out for the day or evening. (prior arrangement necessary). * Lockable shed for mountain bikes. Basel Cottage - so named as the valley is very like parts of Switzerland and the owner also has connections to Basel. There are walks straight from the cottage across the valley and up into the woods beyond. This is a wonderful location for exploring Mid Wales and beyond with The Crychan Forest Mountain Bike Trails. 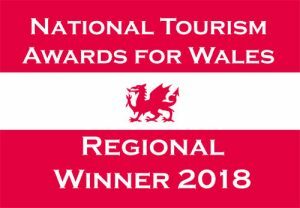 Perhaps enjoy a drive around the Llyn Brianne Reservoir or The Elan Valley with the scenic drives around the beautiful forest and reservoirs. For those seeking new challenges, there are quad biking, clay pigeon shooting and pony trekking facilities in the area. The Heart of Wales Railway Line runs up through Mid Wales from Swansea to Shrewsbury and it is well worth a journey as the train passes over the Cynghordy Viaduct. Llandovery has a thriving Farmers Market and The Castle Hotel is now a very interesting place to eat. The ruins of The Castle have an impressive 16 foot stainless steel statue of the Welsh Prince Llywelyn. There is also an excellent Visitor Centre and a little further afield at Myddfai there is a new Visitor Centre, cafe and shop. The Red Kite Feeding Station is also really worth a visit to see these magnificent birds so close. The cottage is set between Llandovery 2 miles, Llanwrtyd Wells 15 minutes, Brecon between 30 and 40 minutes and Builth Wells and The Royal Welsh Showground about a 30 minute drive.